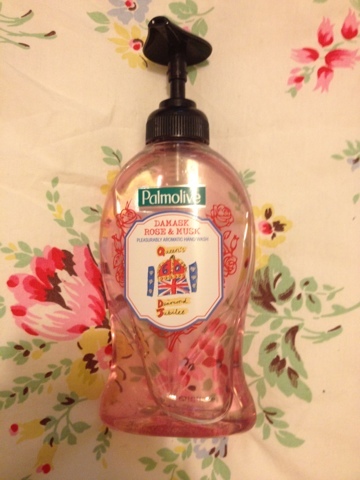 So this is a little bit of a random post but I wanted to share my love for this hand wash that I picked up at Sainsbury’s recently, I love all things British so have loved having all the jubilee inspired items around recently, I picked this up about a month or so ago for the bargain price of a £1 and I believe they are still around in some supermarkets but as they are a jubilee item, I think they are limited edition so if you like the sound of this, get them quick! This is the Palmolive Damask Rose and Musk hand wash, although, I am not a huge fan of musk smell, it’s not very over powering in this, instead it’s a lovely rose smell that really reminds me of Turkish delight, so it’s a slightly sweet rose smell, and leaves a gorgeous smell on your hands. The soap itself is a lovely pretty pink colour and I really like the shape of this bottle as well, it’s got a vintage feel to it and reminds me of the old perfume and lotion bottles, with a slightly curved shape so it looks pretty next to the sink (which is oh so important!) as with most liquid hand washes these days, it also has a handy pump that doesn’t drip when you’ve pumped it (I have a Carex Anti-Bac hand wash that drips bright blue soap every where once you’ve used it, which drives me MAD having to clean it up constantly). Having just had a look on Sainsbury’s website, I can’t see that you can buy this on line but check your local store to see if they still have it in. I did spot on the websitt though, two other hand washes that look they may be similar, they’re in the same vintage inspired bottle so definitely ones to look out for if they appeal to you, There is Chamomile & Lavender and Verbena & Bergamot, both of which sound good to me, I absolutely love the smell of Lavender, so I’ll be trying these out too, and again these are on special offer for £1. 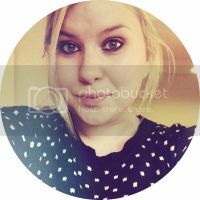 Have you tried this out? 4 comments on "Palmolive Damask Rose & Musk Hand Wash"
I have tried a few Palmolive soaps, at £1 this is next on my list! I bought this a while ago, fell in love with it and now I can't find it anywhere! Gutted!